In 10-inch skillet, heat water and pasta sauce to boiling. 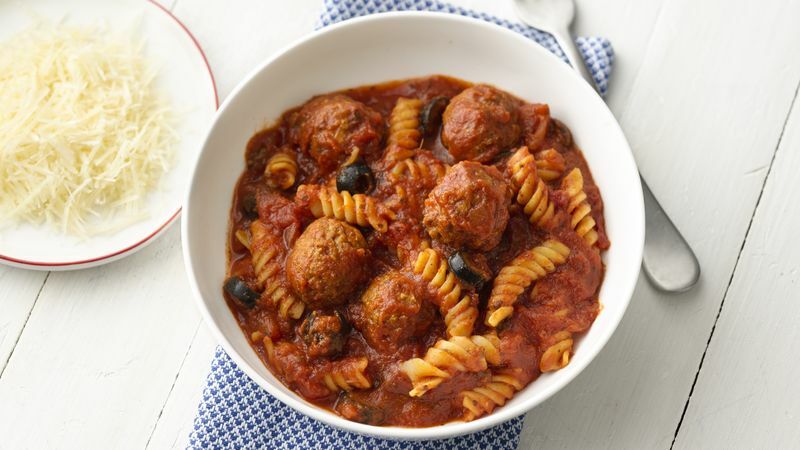 Stir in macaroni, meatballs and olives. Return to boiling. Reduce heat to medium. Cover; cook 15 to 20 minutes, stirring occasionally, until macaroni is tender. Sprinkle with cheese. Rotini pasta can be used instead of the macaroni.